Everything but the bad things I already stated. Entertainment team was exceptional!!! Food great. Drinks good. Staff realy positive. I will come back next year for sure. Lots of swimming pools (4 or 5 don’t remember exactly), lot of fun with the entertainers and the programs they had. Food was very nice but drinks menu for all-inclusive was very limited. - Friendly staff. They knew good English so we had not communication problem. 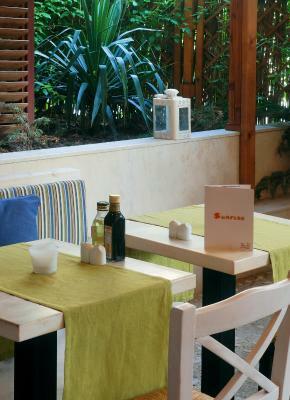 - Good foods and fruits (all inclusive). - Pretty big and clean rooms. 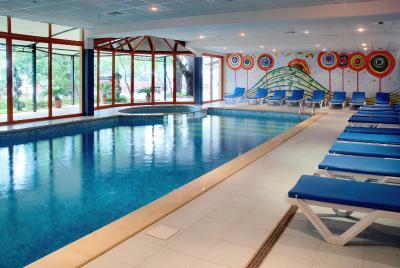 - An indoor and multiple outside pools. - Shows for adults and children almost every day. 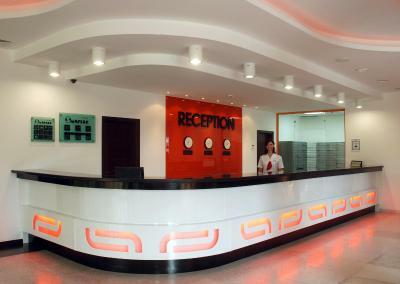 The reception staff and the bellboy were the friendliest I have met in Golden Sands! 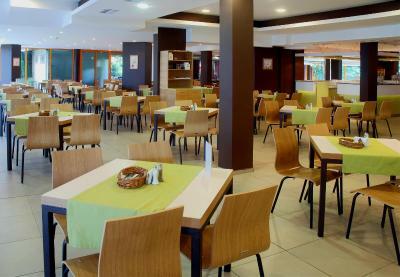 It is a very lovely spacious hotel and very nice food. It was well situated only a short walk from the main strip. 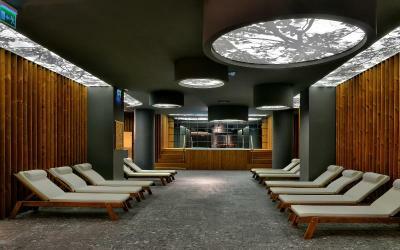 Locația excelenta, vedere la mare de pe terasa hotelului, mâncare foarte buna, mai multe porcine. Intentia/Stradania personalului hotelului de a ne simti bine. Camere curate, mancare buna, programe divertisment. 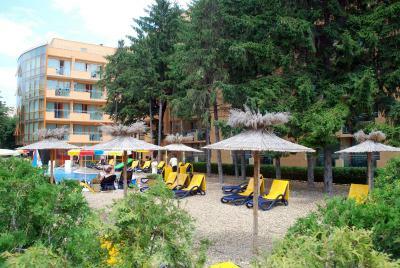 Mi-a placut zona in care este amplasat hotelul. Mancarea a fost buna, iar animatorii au fost de nota 10. Curatenia,linistea ,servirea .Personalul foarte dragut .Singura primire mai neprietenoasa a fost a unei receptionere care in momentul in care a vazut ca suntem romani a facut o grimasa si a spus ca nu stie sa vorbeasca romaneste .Bine ca a fost singura care avea alergie la romani.Au fost foarte inventivi , aveau grupuri de antrenament pentru adulti , la piscine care faceau fel de fel de jocuri ,pe copii ii oboseau cu joculete ,karaoke ,dansuri ,strigaturi .Toata lumea dormea beton dupa ora 23.Merita banii , mai ales ca la intoarcere m-am oprit in Eforie Nord si m-am ingrozit. 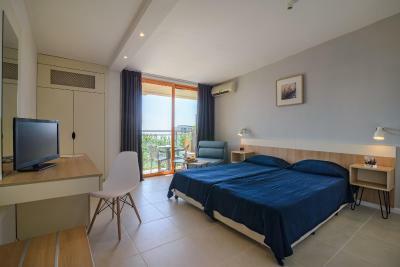 Hotel PrimaSol Sunrise - All Inclusive This rating is a reflection of how the property compares to the industry standard when it comes to price, facilities and services available. It's based on a self-evaluation by the property. Use this rating to help choose your stay! One of our best sellers in Golden Sands! 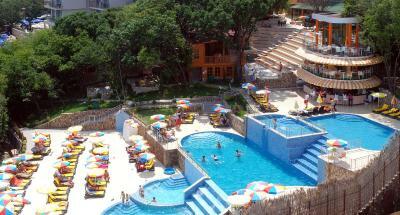 Hotel PrimaSol Sunrise is surrounded by trees, only 1,000 feet away from the center and beach in Golden Sands. The property features a restaurant with a terrace, serving international cuisine, 3 outdoor pools, a hot tub and an indoor pool. 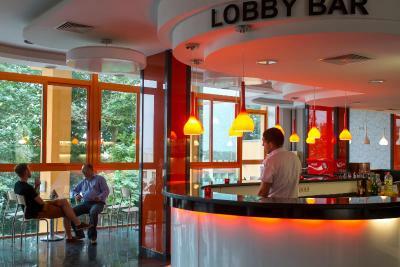 Free WiFi is available at the lobby bar. 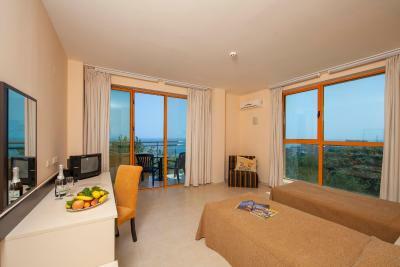 All air-conditioned rooms feature a balcony, a TV with satellite channels and a mini-bar. 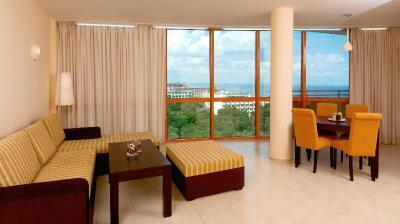 Some rooms also offer sea views. 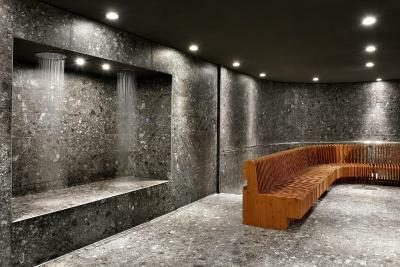 The bathroom is fitted with a shower and free toiletries. 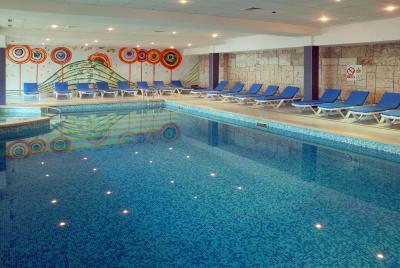 At PrimaSol guests can enjoy various sports, including table tennis, volleyball, basketball and tennis court. There is also a PrimaKids Club and a playground for the little ones. 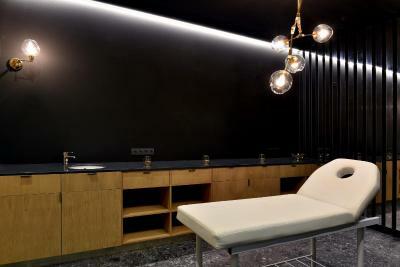 Darts, bowling and billiards are also available, as well as a fitness center and massage services. The animation team organizes diverse activities for adults and children, including contests or dancing. 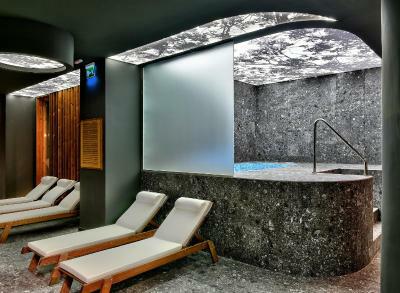 As of late April 2019, Hotel PrimaSol Sunrise - All Inclusive will feature a spa center featuring a Finnish sauna, a steam bath, an indoor pool and a hot tub. 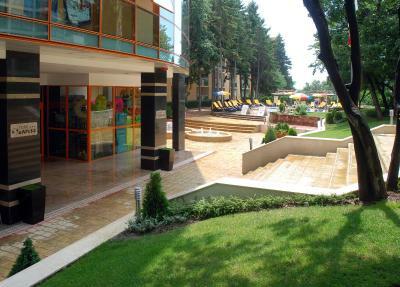 Albena Resort is 6.2 mi from the property, while the center of Varna with numerous shopping, dining and entertainment opportunities is 11 mi away. The famous Aladzha Monastery is a 5-minute drive away. 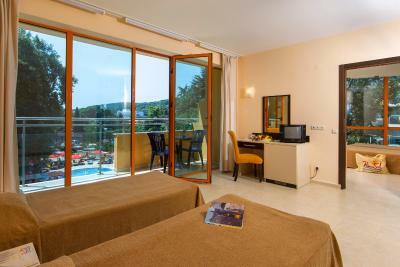 When would you like to stay at Hotel PrimaSol Sunrise - All Inclusive? Featuring air conditioning, a TV with satellite channels and a mini-bar. The private bathroom comes with a shower and free toiletries. The private balcony offers scenic views. 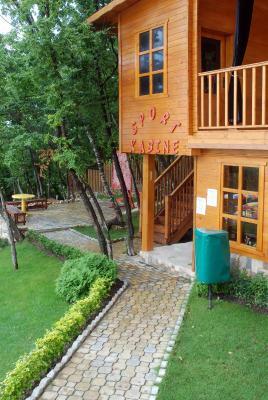 Private parking is available on site (reservation is not needed) and costs BGN 9.78 per day. Featuring air conditioning, a TV with satellite channels and a mini-bar. 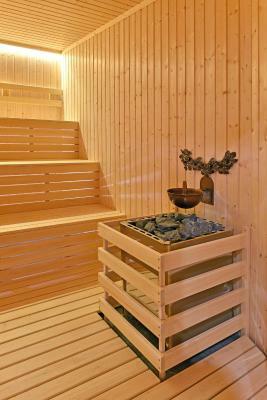 The private bathroom comes with a shower or a bath and free toiletries. A safety deposit box is provided free of charge. The private balcony offers scenic views. Featuring air conditioning, a TV with satellite channels and a mini-bar. The private bathroom comes with a shower and free toiletries. 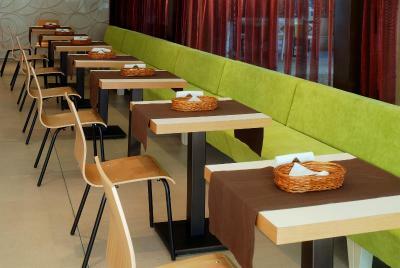 A seating area with a sofa is available. The private balcony offers scenic views. 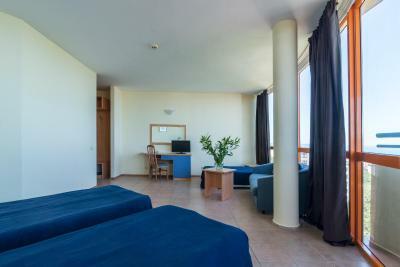 Rooms on the 6th floor of the hotel, with park or sea view, totally renovated in winter 2013. Featuring air conditioning, a TV with satellite channels and a mini-bar. The private bathroom comes with a shower and free toiletries. A safety deposit box is provided free of charge. The private balcony offers scenic views. 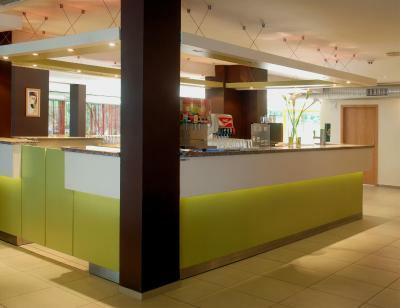 The mini-bar is provided for free on the day of arrival, coffee, tea and mineral water corner are offered. 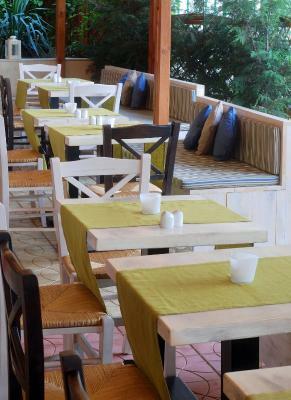 House Rules Hotel PrimaSol Sunrise - All Inclusive takes special requests – add in the next step! Hotel PrimaSol Sunrise - All Inclusive accepts these cards and reserves the right to temporarily hold an amount prior to arrival. All amounts charged on your credit card will be charged in BGN according to the current exchange rate. Indoor pool opens only if you ask at the reception. And only from.8:00 to 9:30 am. Our room was not ready at 14:00 when we should have got into the room. We didn't wait long, about 30min (went to lunch) but if you say 14:00 then there is no need for us to wait after 10h driving, and who ever was in the room before us had to leave the room by 12:00 so there was enough time to clean it. To many wasps around the pools! There is no wi-fi reception by the pool, where people spend the most time!?!? Show team, personalul de la bar. Although specified when I’ve done the booking that I need a double bed, I found there two single beds, after taking the trip to reception was told they’ll change it the next day in the morning as well the fridge for mini-bar as it was faulty and heating the drinks instead of cooling. The next day around 6pm we got back from the beach and surprise nothing was changed. I called again at reception and the guy asked if this was very urgent as he doubts it will be done. Therefore I’ve called the site and the issues were solved one by one, first the bed in about half hour after the call and the fridge at 8am the next day. Although the hotel has 4 **** I’m sorry to say but it should be given only 3 *** overall. Take extra sheets for the beds (if you can)as they won’t change them for your entire stay. Any problems you face with them don’t hesitate to call the website otherwise it won’t be solved. 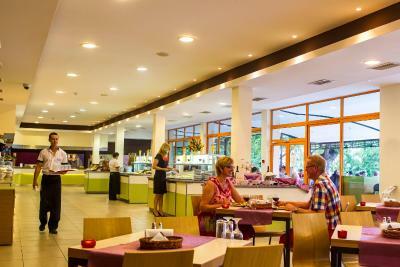 Reception staff did not inform about the all inclusive meal hours and that the indoor pool was not working, we found out ourselves. Recepetion staff should be more informative. We had 2 rooms that had doors between them in the wall that separated the rooms which were opened. I had to specifically asllk the cleaning pwrsonal for the doors to be locked( cleaning personal does not speak english at all I had to basically drag a lady in the room and show her by sign I want a key to lock the door). I specifically asked (by phone)for 1 double bed not 2 single beds and I got the 2 singles. Issue was resolved after a trip to the reception, they just put the beds next to wach other and put a mattress on top. Cleaning is a minus:after the bed story I took my shoes off and guess what the floor was dirty, hair and dust all over the place(uploaded a photo of how my feet looked after 2 minutes of walking with no shoes on the dirty floor). Also they do not remove the used glasses and cups used on the terrace for hours. Had a coffee at 7:30 pm after dinner, went for a walk, returned at 11 pm, same cup was on the same table(I know it was the same because I used an orange straw). - The hotel's parking was really small (just for a few cars) and had no place for us so we had to park the car in a private and very busy parking (6 euros per day). 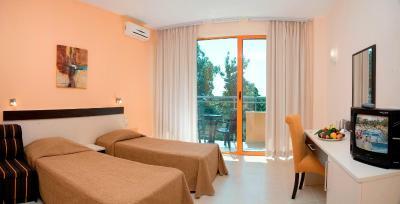 - They (and also on booking.com) say it's 4 minutes walk to the beach, which is NOT correct at all. It's at least 15 minutes walk to the beach with a lot of stairs on the read. - Barmen were not always in the bar and we had to go to reception to ask them to have somebody in the bar. Or sometimes wait about 10 minutes to have somebody there. - Just a few drinks were included in All Inclusive rooms and for other drinks (like whiskey) we had to pay. Totally, the hotel is really a good hotel, but if they resolve the mentioned problems, it can be a really fantastic one. 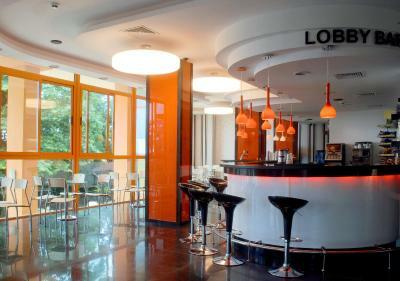 More staff needed at the lobby bar ! On a double room why the beds should be separate?